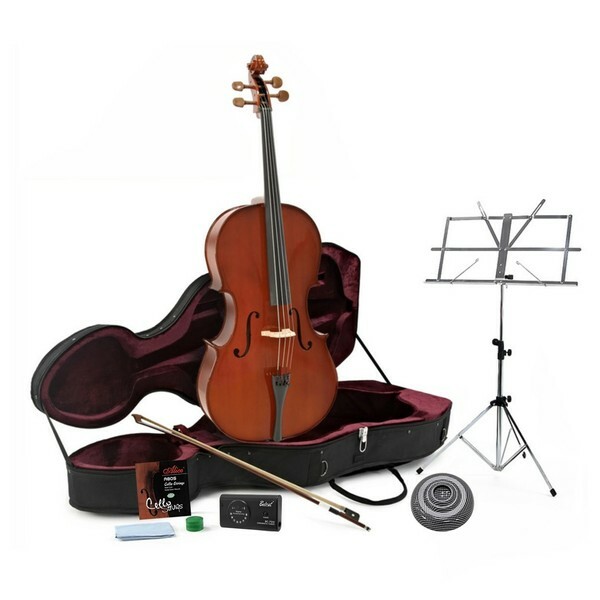 This Student Plus Full Size Size Cello with Case + Beginner Pack by Gear4music offers everything you need to start playing cello exceptional price. 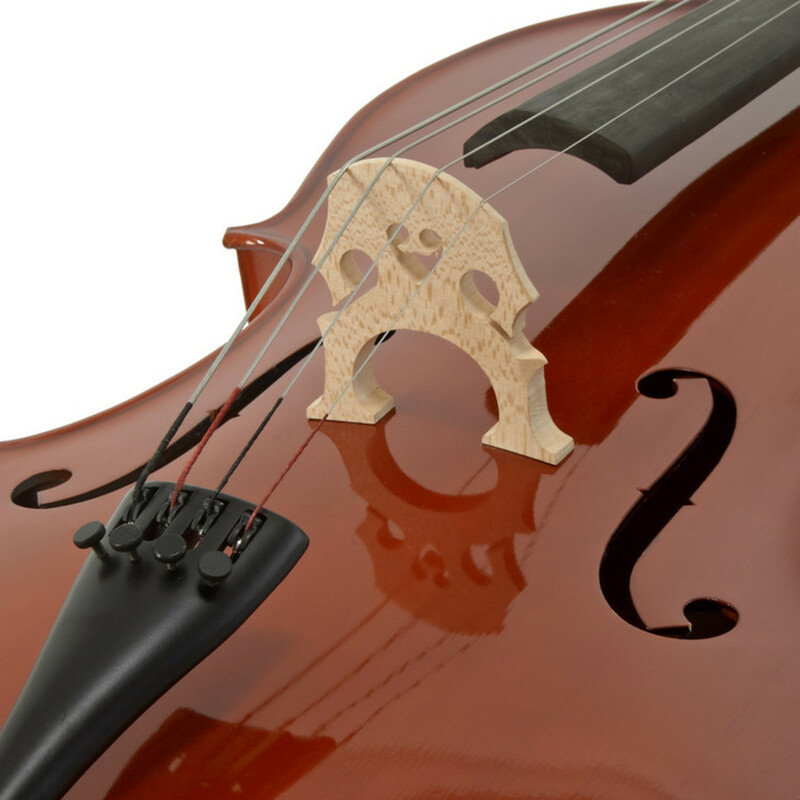 With our solid bodied Student Plus 4/4 Size Cello you receive an instrument made with the same materials and techniques that go into making high end instruments, at a fraction of the price. 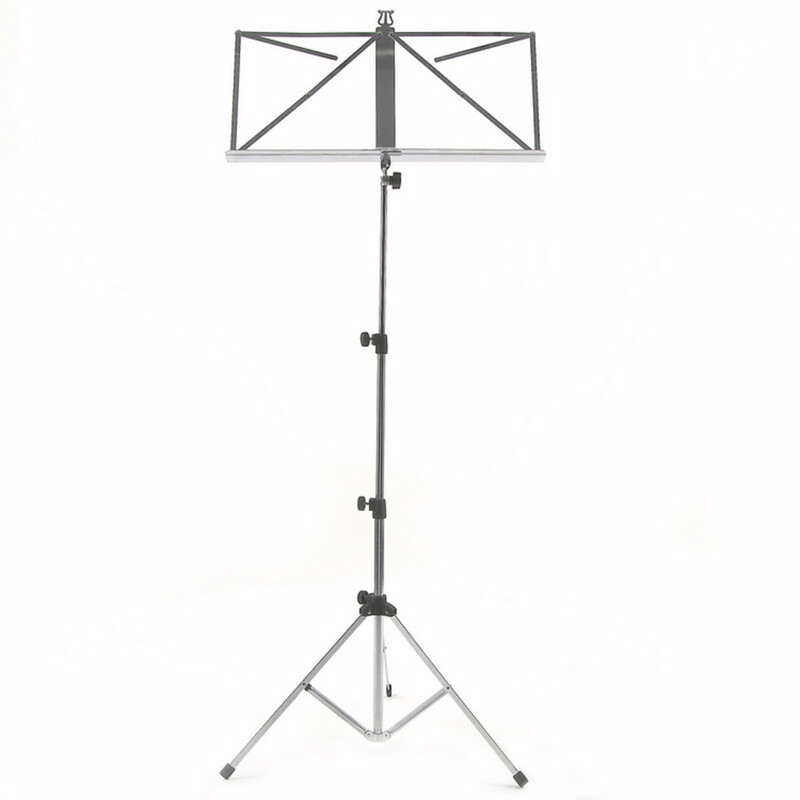 Included is a deluxe carry case, music stand, polishing cloth, endpin stop and string set, ensuring the budding beginner has everything they need to start out and then take to the stage. 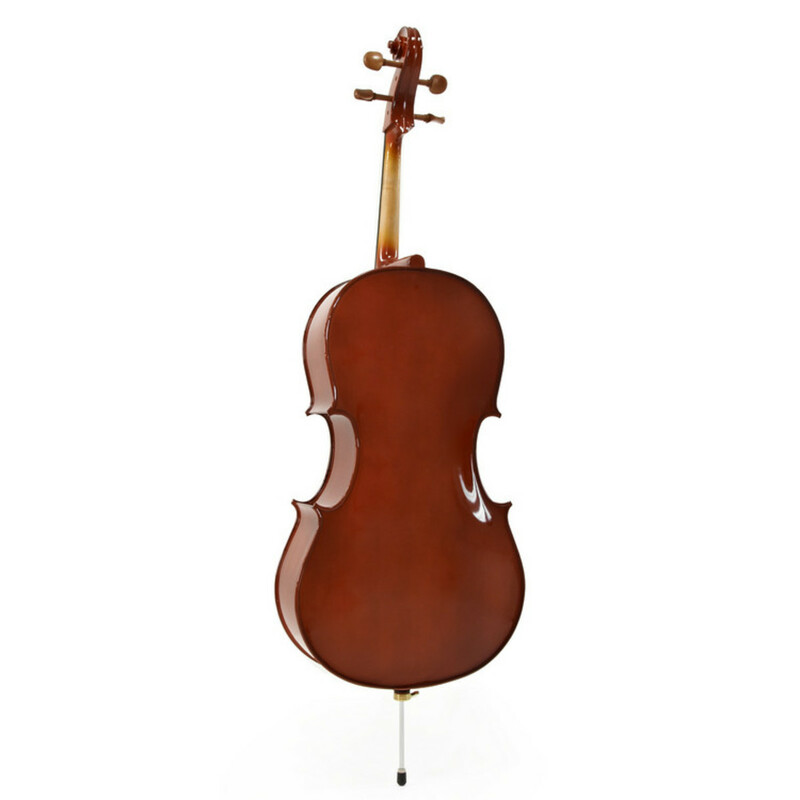 The Gear4music Student Plus Cello is a hand finished, hand lacquered carved solid wood instrument. Quality Canadian spruce and Canadian maple tonewoods are used throughout. Crafted utilising the same traditional methods employed in making high-end concert Cellos, it boasts a strong, warm and pleasing tone and a light, easy response. 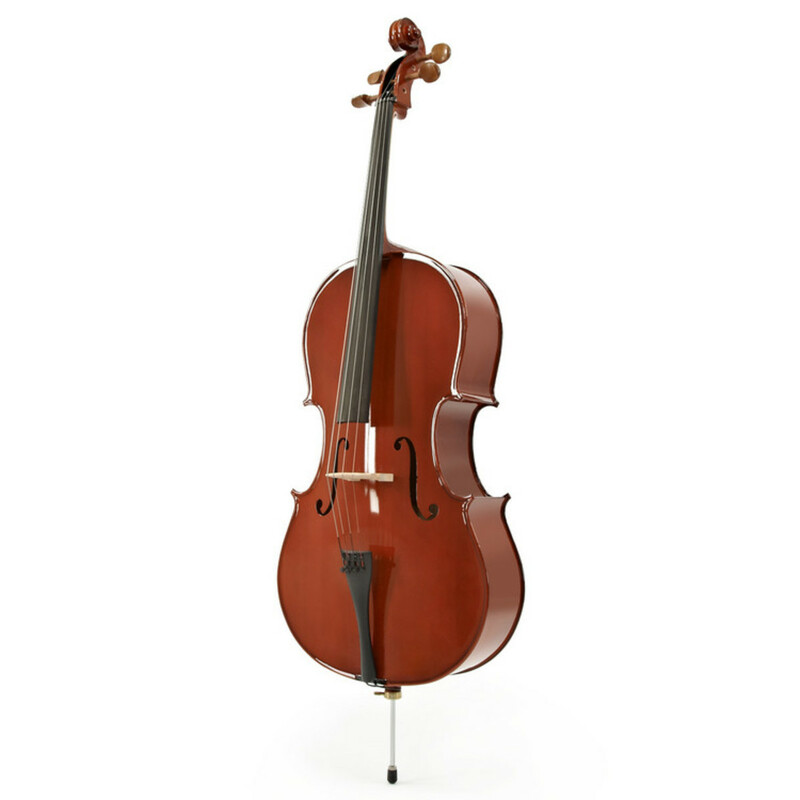 The Gear4music Student Plus Cello comes as a complete outfit with a hardwood bow and featherweight hard case, and is supplied with a factory set-up with a lowered bridge for safe transportation, making for a great introduction to the Cello for keen young beginners and a solid instrument for adult players returning to the instrument.